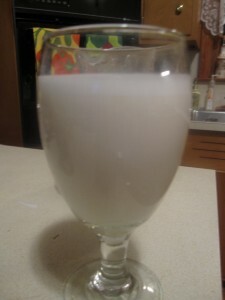 I am not a huge fan of milk, both the idea of it and the way it makes me feel (stomach ache galore). Thank you for nuts! 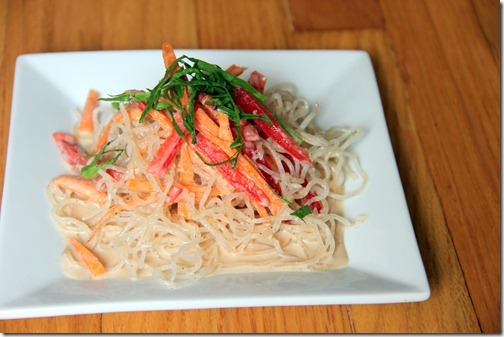 It follows a straight-forward recipe, but it requires you soak the almonds overnight (about 8 hours). 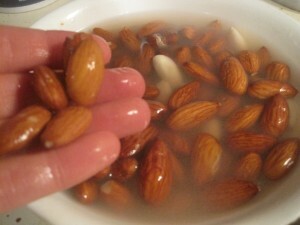 Soaking is essential in releasing the almonds’ enzyme inhibitors. Enzyme inhibitors prevent enzymatic activity in nuts and they protect nuts during growth. Because nuts and seeds are consumed by birds, high enzymatic activity would overwhelm these small creatures’ systems. 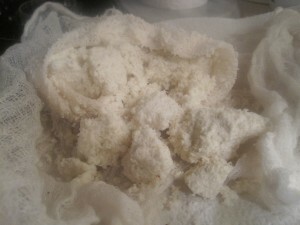 For human consumption, however, it is ideal to have as much enzymatic activity as possible for digestive purposes. 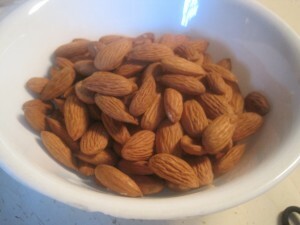 By soaking the almonds, you are releasing these enzyme inhibitors and making the almonds easier to digest and highly alkaline. 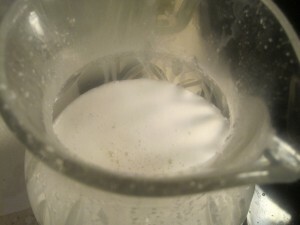 Salt helps accelerate this process. 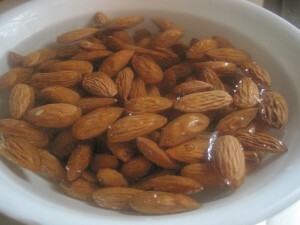 Take one cup of the almonds and submerge them in a bowl filled with water and 1/2 tsp salt. 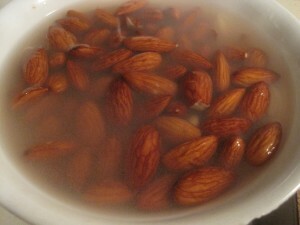 As the almonds soak, you’ll notice the water become increasingly murky. 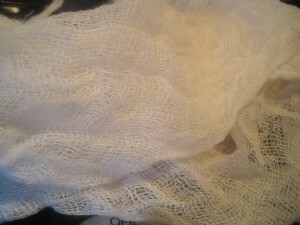 Draining and replenishing the water several times throughout the 8 hours is suggested, but not required. 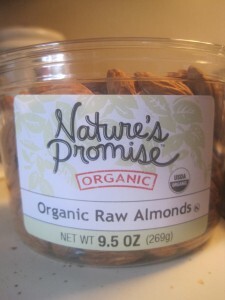 You’ll also notice the almonds plumping up. 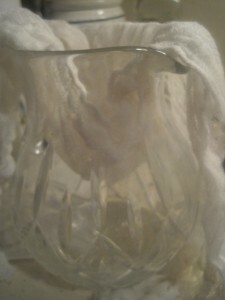 8 hours later, it’s time to make the mylk. 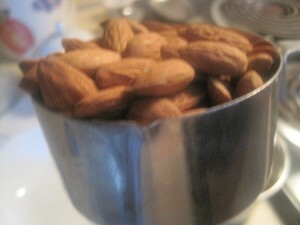 Rinse the almonds with water and in a blender combine the almonds and 2-4 cups water, depending on how thick you like your milk. 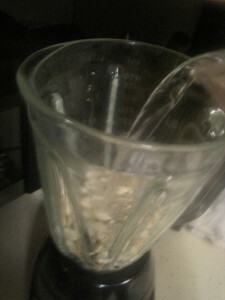 I am not a huge fan of watery almond mylk, so I blend about 2.5 cups of water with the 1 cup of soaked almonds. 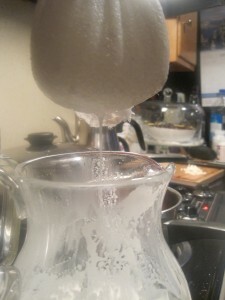 I would suggest 3 cups of water. 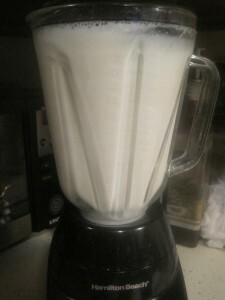 Blend on high for a minute, until all is liquidated. 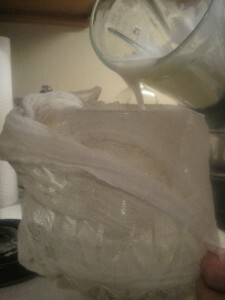 You’ll need a cheese cloth for the next step to separate the almond fibers from the almond mylk itself. 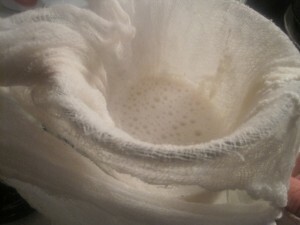 Hold the cheese cloth over a pitcher and strain the blended mixture. 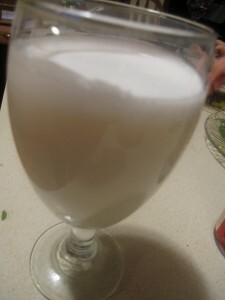 Looks a whole lot like milk, eh? 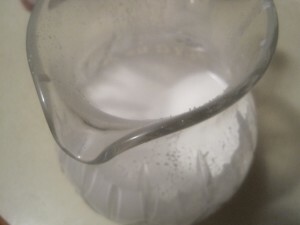 Drink it straight or use it in cereal, soups, smoothies, desserts or coffee!